Domino's Pizza shares soared 11% at the start of trading on Tuesday after the fast-food firm reported a strong pick-up in UK sales. The company, which had previously warned of tougher times as household budgets are squeezed, said comparable sales in its core UK market were up 8.1% in its third quarter. It said a record number of store openings in the 13 weeks to 24 September, taking the total above 1,000 in the UK for the first time, helped total sales rise 11.6% in the country. Digital sales were up 17.4%. The company has maintained its expansion plans despite caution among many consumer-facing businesses, with Marston's, the brewer-to-hotel operator, confirming on Tuesday that it had trimmed its growth strategy because of "subdued market conditions". The top worry for firms is an erosion of confidence - a consequence of the impact of higher inflation and weaker wage growth this year in the wake of the Brexit vote. A report by the British Retail Consortium on Tuesday pointed to strong spending on essentials only last month, with "big ticket" items such as furniture and electricals struggling. 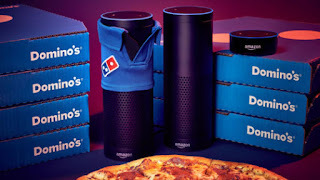 Domino's, which was among the big winners in terms of growth following the financial crisis, signalled caution of its own in the spring when it predicted pressure on sales because customers were "worried about rising prices". But it said in its latest update to the City that demand had picked up - aided by promotional activity - but that would not affect its profit forecasts. Chief executive David Wild said: "We are pleased with our performance in Q3, especially the improved trend in our core market of the UK. He added: "In the UK, consumers are uncertain and they continue to focus on value. Our commitment to growth remains undiminished, as does that of our franchisee partners. "We expect to launch a record 90 stores in the UK this year, with an encouraging pipeline already in place for openings in early 2018. 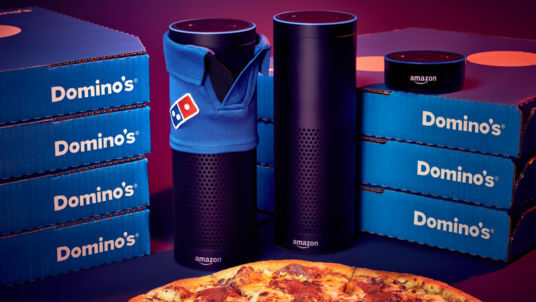 "More recently, we have seen a real surge in digital engagement, with our new advertising campaign, "The Official Food of Everything", driving a record 200,000 online orders - or 140 a minute - on the last Saturday in September." Its shares, down 8% during 2017 to date, were 11% up on opening on the FTSE 250.